If Harper wants to hand out human-rights awards, he should show he's worthy by establishing citizenship laws that value equality. On Feb. 8, the Harper government announced a brand new award that will honour individuals and groups around the world who have shown exceptional courage and leadership in defending human rights and freedoms. 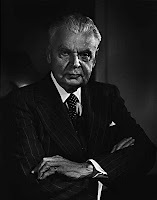 They call it the John Diefenbaker Defender of Human Rights and Freedom Award. Click here to read original op-ed piece on The Mark website. The question here is whether Harper is in any position to hand out “human rights” awards. It was not that long ago that his government denied a three-year-old baby citizenship simply because her link to Canada was through her grandmother rather than her grandfather. By denying this little girl citizenship, Harper violated three UN conventions on human rights. He also went against the past rulings of the Supreme Court of Canada: in Benner vs. Canada, 1997, the court said that discriminating against women in citizenship law was illegal. In Leong Ba Chai vs. the Queen, 1954, it was ruled that children who are born out of wedlock are legitimized if their parents subsequently marry. Today, several war-bride children who have lived in Canada since the end of the Second World War are being denied citizenship because Harper's government has deemed them unworthy of Canadian citizenship. Additionally, some people born prior to 1947 will soon discover that their citizenship has been a façade for the last half-century. Sadly, anomalies still exist in citizenship law – not just for those who are about to enter their retirement years, but for the very young as well. Just over two years ago, the rights we have as Canadians changed. It's no longer guaranteed that a Canadian parent will be able to pass Canadian citizenship on to his or her children. Even those who have lived in Canada their whole lives and have always believed themselves to be Canadian citizens must prove their citizenship or permanent-resident status if they wish to collect their old-age pension. It can take well over a year to get a citizenship certificate proving that you are, in fact, a Canadian citizen. While waiting for their proof of citizenship certificates, many Canadians are denied entry into university, the right to work, medical coverage, and all of the other citizenship rights that the majority of us take for granted.